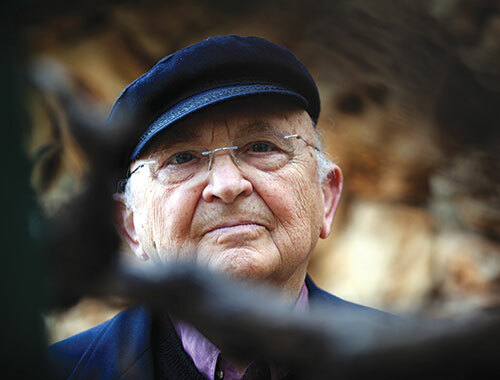 When the Israeli writer Aharon Appelfeld died in January, I had a copy of one of his books, Adam & Thomas, in the to-read stack on my nightstand. Published in English in 2015, his first book for young readers tells the story of two young boys, left in a forest in some unnamed corner of Europe by their respective mothers, both of whom have returned to the ghetto to find hiding places for their grandparents. Adam’s father, a religious carpenter, and Thomas’s father, a secular schoolteacher, have already disappeared in the labor brigades. His mother hugged him and said, “I have to run. I’m going to hide your grandparents.” She slipped out of his arms and set out. She is as matter-of-fact as if she is leaving to run a quick errand, although many modern-day parents would be loath just to leave a nine-year-old alone in their own home, even with a cell phone. Illustration by Philippe Dumas from Adam & Thomas by Aharon Appelfeld, published by Triangle Square Books for Young Readers/Seven Stories Press. “I was a child, and I lived in a kind of fairytale,” Appelfeld told Dekel in 2011. As in a fairytale, there were fears, there were imaginings, and there was a small bit of joy in the center. It was a fairytale. That is the Holocaust, because I was a child, was also a fairytale. At times I would tell myself, tomorrow my parents will come to take me away. And I would give myself signs; if I see a white horse, it means that my parents will come to take me. And each time I would look for a white horse in the meadow, in the pasture. In Adam & Thomas, it is a cow in a pasture that leads the boys to Mina, who keeps them alive first in body and then in spirit, when she in turn needs Adam and Thomas to care for her and ensure her life. Appelfeld himself escaped from a concentration camp when he was just eight and survived in a Ukrainian forest for three years until he met up with the Soviet army and became a cook in a field kitchen. His mother, though, had already died at the hands of the Nazis when he and his father were sent to the camp. Unlike Adam’s, his mother did not literally leave him alone in a forest. Adam & Thomas is, in a way, a bookend to Appelfeld’s Badenheim 1939, his first work translated into English, and the one that marked his entry into the international literary world. Heavier, more dreadful, it too has the feel of a fairy tale, but one from the Brothers Grimm, not Disney. Here again, the reader knows what the Jewish vacationers and townspeople don’t, that the people who “left their baggage in the hotel and streamed toward the forest” won’t be coming back from their “resettlement” in the east. We understand why the inspector from the “Sanitation Department” asks the pharmacist for all kinds of “peculiar details” about who owns his business, how he acquired it, and its value, while he, perplexed and “surprised, explained that everything had been whitewashed and thoroughly disinfected.” With each sentence of Badenheim 1939, tension builds. The hints of impending disaster are heavy and thick on the ground, a trail of breadcrumbs mixed with sawdust. Appelfeld described his writing process as one of leaving his pages in a drawer and going back to them until there was nothing left to add in and nothing left to take out; at 148 pages, Badenheim 1939 includes as much as the reader can stand. A few chapters in, and we are both weary and on edge, trapped alongside the Jews of Badenheim, all registered with the Sanitation Department. Instead, Appelfeld gives us characters who are archetypes for the Jews the Nazis tried to eradicate: the Ostjude and the assimilated Jew who longs above all for “an artistic experience,” the Jew who asks for acceptance in a voice that is “soft and conciliatory,” and the one who demands admittance in a tone that is “clear and sharp.” In his Alpine allegory, the village becomes a fenced-in ghetto and the organizer of a summer festival morphs into the head of the Judenrat, the purveyor of readings of Rilke and nostalgic Yiddish songs that distract from thoughts of escape. 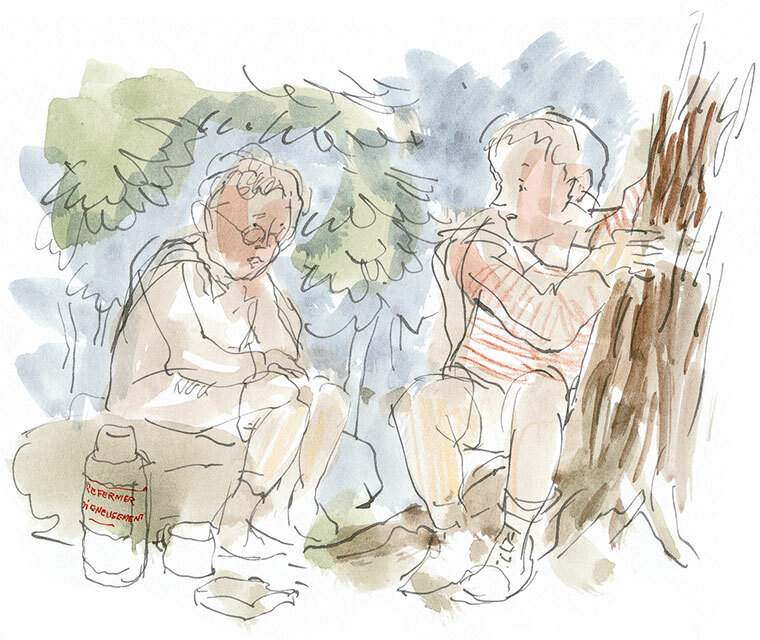 In the end, the titular characters of Adam & Thomas are saved in a narrative that echoes Appelfeld’s own lucky and unlikely forest survival story. Appelfeld’s widow, Yehudit, told his long-time translator Jeffrey M. Green that he left behind drawers “full of manuscripts.” Whether the worlds we have yet to explore with Appelfeld are those of doomed villages like Badenheim or the miraculous forest of his first book for young readers remains to be seen. Amy Newman Smith is the managing editor of the Jewish Review of Books. A lost chapter from Agnon's final, classic novel Shira, translated here for the first time.